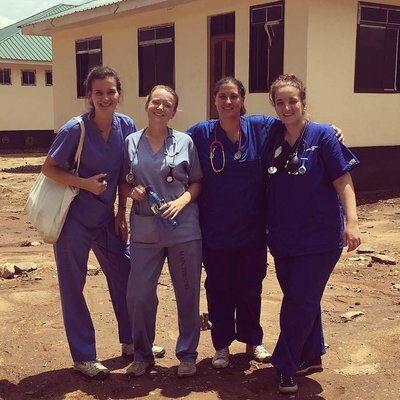 It's always been a dream of mine to visit Africa, in fact part of the reason I considering nursing as a career choice was for the vast opportunities for travel and voluntary aid work with the profession. 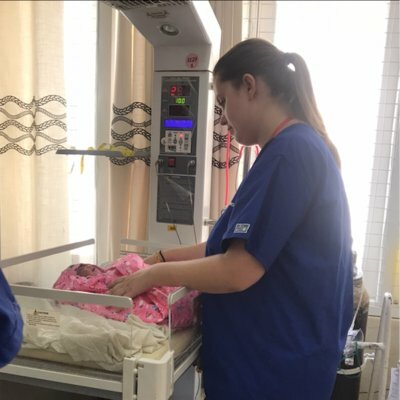 I'd always planned to do some sort of humanitarian work in Africa after my degree and decided to do a six week placement in Ghana as a small taste of what I might expect in the future. The only problem is where do you start to plan such a trip?! Personally it was too big a task for me and I felt that I'd have a better experience if I had a company who could offer advice and take care of all the hard logistics of such an adventure. Plus travelling alone was pretty nerve wracking and I appreciated the security Work the World provided as well as the opportunity to meet other students planning the exact same kind of trip. Finally, after much planning and last minute preparation, the day had arrived to leave. I was pretty terrified about flying on my own but thankfully I was met by the lovely Ezekiel, the Work the World representative, at the other side in Accra. Ezekiel turned out to be the guru of Ghana, showing us around, giving us advice and generally looking out for all the students like an older brother. He was invaluable for the duration of my trip and became a real friend to all of us. To be honest, all of the staff were fantastic and really do try to make sure you leave feeling like part of the family. I mainly spent my time in the hospital's A&E but the staff are very laid back and it's easy to switch to other areas of the hospital if you're interested. I wanted to do this, especially visiting departments that I wouldn't get to visit within my adult nursing course at home. I spent time in neo-natal intensive care, surgery and labour as well as visiting various other clinics. My hospital experience was full of highs and lows - it was a bit of an emotional roller coaster! I'm sure everyone who goes on placement will have a different experience of it based on their own attitudes and opinions, as well as the cases and staff you come into contact, but nothing could really have prepared me for what I witnessed and partook in whilst working in the hospital. I saw a lot of cases and outcomes that differed in treatment to that of the UK, but although it could be emotionally draining it was also incredibly rewarding. Working in A&E was a huge learning curve and really encouraged me to have confidence in my own skills and taught me to learn, and learn quickly! It turns out the other students are pretty good at filling knowledge gaps and acting as dummies for you to practice various procedures on too..! Personally I got a huge amount out of the placement, I saw a lot of unusual cases and got to broaden both my knowledge and my skills. If you really want to get the most out of your time at the hospital you need to be incredibly proactive and actively encourage the staff to allow you to participate and gain their trust. I found that I got a lot more hands on experience doing nightshifts. The good thing is that when you need a break from the hospital there are always nights out and weekends to look forward to! 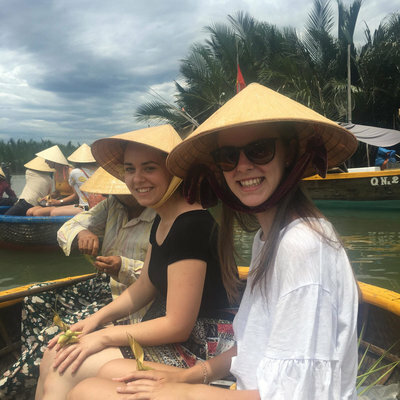 I was fortunate that the other students at the house were all quite keen to travel too and, as well as big excursions at the weekend, you can also just chill out at a local bar or beach to de-stress after placement. There's something for every kind of traveller in Ghana; Axim Beach is not to be missed for those who are looking for a little touch of luxurious paradise, the Volta region's waterfalls are perfect for keen hikers whilst Mole National Park is a must for animal lovers who have the patience of a saint (Ghana's public transport is pretty unreliable, and that's being polite). Looking back I had an amazing time, I met some great people and I haD experiences that can't measure up to a placement in the UK. If I can give any sort of practical advice it would be to bring a laptop (or nominate someone who trusts bringing their laptop) and plenty of DVDs! I can't tell you how many nights we spent just sitting watching Mrs. Doubtfire around my tiny laptop screen for something to do at night! But that aside I'd say make the most of it while you're there, you will truly miss it when you're back home. Travel as much as possible at the weekends, try and learn enough Fante to impress the locals (don't be offended when they laugh at you), bring more clothes than you could possibly ever wear (hand washing is not particularly fun), don't eat dodgy street rice and definitely, definitely do try a Fan-Ice.